How Can I Better Manage My OCD Symptoms? According to the Anxiety and Depression Association of America (2015), approximately 2 million Americans suffer from OCD. What is OCD? Well, OCD is the abbreviation for obsessive-compulsive disorder. It is a chronic anxiety disorder that causes intrusive thoughts (obsessions) and compulsive behaviors (i.e. impulsive and repetitive behaviors). OCD afflicts people of all nationalities and ages. 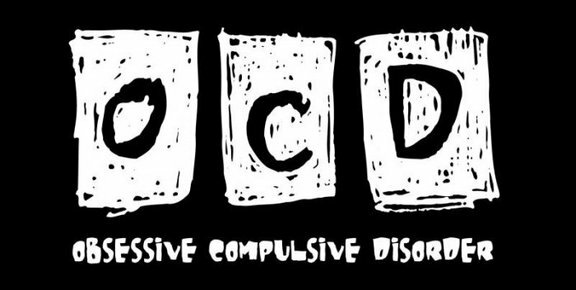 Symptoms commonly associated with OCD include: repetitive hand washing and rocking, constant counting, repeatedly checking to make sure the lights, stove, etc. is turned off, and/or the door is locked, intrusive, negative, scary thoughts and images, etc. People with OCD know that their thoughts and behaviors are irrational – they just don’t know how to make them stop. 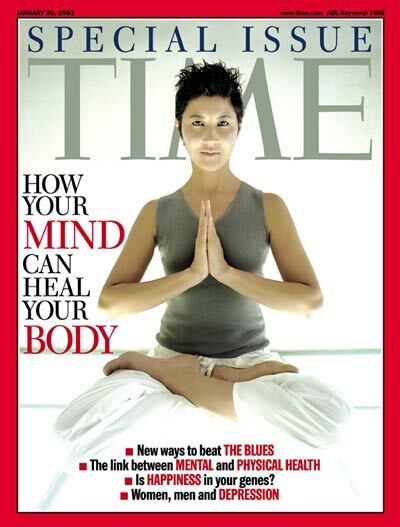 They tend to spend hours obsessive over things and/or performing ritualistic acts to reduce their anxiety symptoms. As a result, this condition can interfere with the sufferer’s quality of life – affecting his or her ability to maintain romantic relationships, work a job, socialize with peers, parent children, complete tasks, and/or accomplish goals. Unfortunately, this psychological disorder is often dismissed, ignored or satirized, but it is no laughing matter. In fact, people, who suffer from OCD, often have a hard time managing their disruptive symptoms. Do you have OCD? If the answer is “yes,” you have come to the right place because this article will teach you how to better manage your condition, so that you can live a normal life – free of anxiety. Do you know what OCD is? What are the signs and symptoms? What are the short-term and long-term effects, and how is it treated? It is extremely important to fully understand what OCD is. OCD is a symptom of a more complex problem. It is important to understand that OCD is not something to be dismissed or ignored; rather it is a symptom of a “deeper” psychological disorder. In order to better manage OCD, you must first address the emotional pain that is triggering your anxiety. Another thing you will need to do, if you want to better manage your OCD symptoms is identify the cause. What is causing your symptoms? What is causing your anxiety? When did you first notice the symptoms? It is important to determine the origin of your anxiety. For instance, some people, who have experienced a trauma, develop OCD, especially if they feel that they had no control over what happened to them. It is important to remember that OCD is an anxiety disorder that develops as a coping mechanism. In other words, most people, who develop this condition, do so as a way to have some control over their lives. These individuals tend to feel that they lack control in other areas of their lives, so they focus their energy on what they can control. Be angry? Yes! In other words, do not bottle your feelings up inside. When anger is not released (expressed) it can manifest as anxiety, therefore it is important that you let it out, before it disrupts your life. To better manage your OCD symptoms, you will need to get in touch with your innermost feelings. So, if you are angry about something that happened to you – be angry. In other words, give your anger a voice. Now, I am not telling you to go out and start a fight with someone, but what I am telling you is to acknowledge those feelings in a safe and healthy way (i.e. talking to a friend about how you feel, writing in a journal, and/or seeking counseling for unresolved issues). Once you start releasing your anger, you will notice a decrease in your anxiety and OCD symptoms. Have you tried to breathe deeply when you become anxious? If not, you may want to try it the next time you experience a panic attack. If you want to better manage your OCD symptoms, you will need to breathe deeply when faced with a challenging, stressful, and/or difficult situation. You will also need to take several deep breaths when you feel your OCD symptoms intensifying. If the situation is too overwhelming for you, remove yourself from it. Go someplace quiet and private, and take several deep breaths. Breathe in from your diaphragm and slowly release the air as you exhale. Practice deep breathing until you feel your anxiety dissipating. Learning more positive coping strategies can help you better manage your OCD symptoms. A counselor can teach you healthy and positive coping strategies that will calm your mind, lower your stress level, ease your anxiety, and prevent or reduce your OCD symptoms. So, the next time you become anxious, pull out a positive coping strategy from your OCD management arsenal. For instance, take a brisk walk or jog around your office building or neighborhood, meditate, take your dog for a walk, call a trusted friend or relative, treat yourself to a new outfit, get a manicure/pedicure, dance around your room, play an instrument, meet up with friends, etc. Another excellent, but important way to better manage your OCD symptoms is to slowly wean yourself from ritualistic/repetitive behaviors, and intrusive/negative thoughts/images. How can I wean myself from my obsessive-compulsive tendencies? Well, you will need to do it slowly. For instance, if you have a habit of checking your kitchen door 10 times before going to work in the mornings – try checking it only 9 times the first month. Once you have mastered that goal, increase the complexity of the task. So, instead of checking the door 9 times – check it 8 for another month. Keep reducing the number of times you check the door until you are only checking it once or twice before you leave. Note: It will take time to reduce your compulsive behaviors and/or intrusive thoughts (obsessions). Do not rush yourself or you will experience a setback. It’s ok to take baby steps. If you try to cut back too quickly it may trigger your anxiety, which will make your OCD symptoms worse. Therefore, take your time, and if you need more time on a particular step – take it. If you feel that you have OCD, contact a mental health professional (i.e. psychologist, psychiatrist, clinical social worker, or therapist) for a consultation. Moreover, do not try to wean yourself off of your obsessive thoughts and compulsive behaviors, without putting more positive coping strategies in place. If you try to stop, but have no other way to cope with your anxiety, you risk experiencing a mental breakdown (psychotic episode).